what types of set ups can you expect? 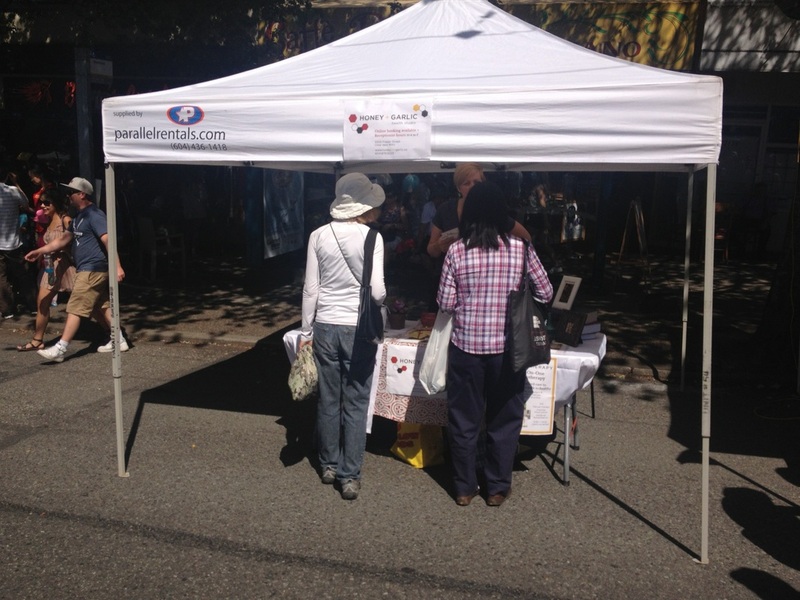 Generally, the set up for most vendors and exhibitors will be a combination of folding tables and a tent. Most vendors and exhibitors will find this to be a suitable space for their needs, with an ability to mix and match with your own furniture to create a larger footprint. Currently, we are planning to do a group rental for tables and tents, so get in touch with us soon to co-ordinate the order. Pricing for vendor/exhibitor fees will be coming soon, with the cost of most set-ups likely to fall between $30 (community groups/non-profits) and $80 (businesses) for the day, and these fees will go towards covering the costs of the event. All the examples on this page are from this year's Car Free Day Main St. Festival. 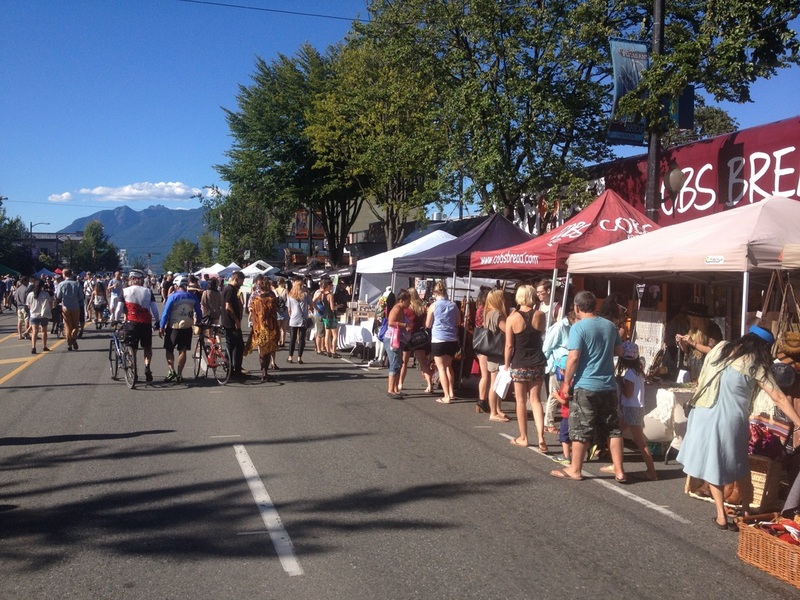 Members of Car Free Vancouver will provide guidance based on previous events for participants needing assistance with their proposed set-up, but the general advice is to treat any additional seating you put on the street as a temporary Patio Extension for regulatory purposes. The key is to let us know as soon as possible if you are planning to pursue option 2 or 3 so we can provide support. You don't necessarily have to be selling things to participate either. Just exhibit information about your organization to grow awareness, and you can tie that into an activity with your display too. Or you can sponsor a performance to bring more attention to your business as well.